Members of Victoria University of Wellington’s alumni community can be found all over the world. 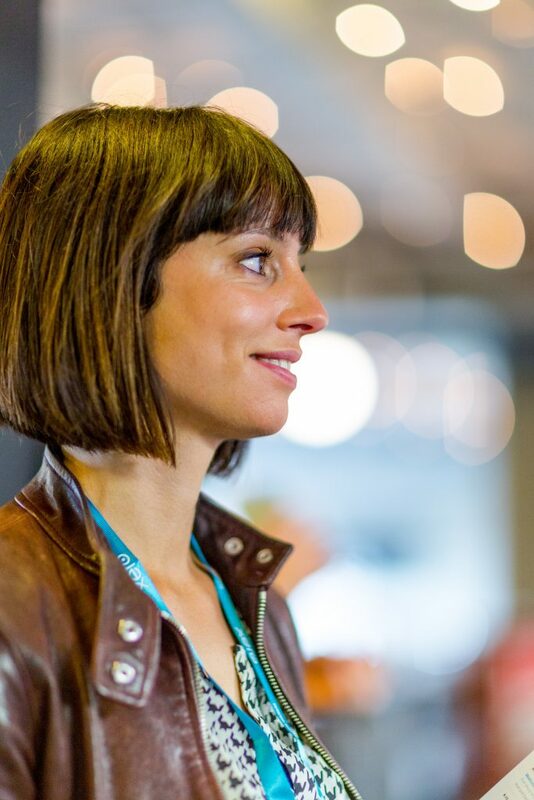 myView got the opportunity to touch base with alumna Erin Connolly—the Brand Activation Director for Xero Americas—who now lives in San Francisco. myView: So Erin, can you tell us a little more about what a “Brand Activation Director” does? Erin: My job is to oversee the way customers interact with our brand at our large-scale events in North America. So when our customers or partners come to one of our events, how do we create a strong sense of who we are and what we stand for? What do we want our customers to think and feel, and what’s the best way to get that across, either with the physical environment or virtually? My job is creating these impactful moments. myView: Sounds fascinating! Have you always been involved in marketing and branding? Erin: Not at all. I was into maths and science at school and started off doing Computer Science at Victoria University. Pretty quickly I knew it really wasn’t for me—not only was I one of the only gals in a lecture theatre full of guys, but I realised I was more into the broader business world than the technical side. myView: How did you make that shift away from Computer Science to what you’re doing now? Erin: Well, to start with, I dropped out of uni and spent time traveling and waiting tables in the States (so much fun!). A year later, I returned to university and started a degree in Finance and Economics. After graduating I taught English in China and travelled more. After that I got a job at Careers NZ and was part of a team that developed online tools to help college students make better informed decisions about their education and career path. That led to getting a role at IT Professionals New Zealand (ITPNZ), managing their certification and mentoring programmes. myView: How did ITPNZ lead you to Xero? Erin: I attended a conference that featured Rod Drury as a guest speaker (CEO of Xero at the time). We got chatting about Xero. I was amazed with how quickly the business was growing in New Zealand and other markets globally. Rod was actively recruiting people to join the team and was open about not having a particular role in mind for me—at that stage he was interested in hiring people who could get stuff done, and was interested in learning and doing things differently. Eight years later, I’m still at Xero and I can’t imagine doing anything else. It’s grown a lot since then but it still has a very strong culture of collaboration. myView: And now you’re based in San Francisco. What’s it like living in the Bay Area? Erin: I love it. San Francisco is a small city with a big city feel. The start-up culture here is awesome to be a part of—it feels like so many people you meet are involved in some sort of exciting new thing. myView: Is there any piece of advice you wished someone had given you when you were at university, or that you would give current students? Erin: I think I would tell students to not worry too much if they don’t have it all planned out. I didn’t have a clear sense of a career path when I was studying, which I used to regret a bit. Now I’m glad I didn’t, as it left room to be open to try new things. I’ve realised that soft skills and life experience are super important. So much of business is about people and understanding how people tick. And you can’t really teach that. It’s something you learn by doing and by putting yourself out there. I would also encourage young people to take advantage of whatever networking opportunities you can get—who you know, and finding people who have your back and can help you get to where you want to go is invaluable, at whatever stage you are in your career. myView: And finally, what do you think the next big things on the horizon are for your industry? What should new graduates be aware of? Erin: The million dollar question! Artificial Intelligence is the obvious one and will change our world in big ways. (I see driverless cars being tested all over San Francisco these days—some more successfully than others). Also big data and the responsibility companies have to protect security and privacy of their customers’ information is becoming super topical. Who would have thought Mark Zuckerberg would ever have to testify before Congress about Facebook’s role in disseminating political misinformation, but it’s happened. Movements like #MeToo in the past year have changed things too—people are speaking out and want to see change. No doubt we’ll see more social change like this, I think it’s great.